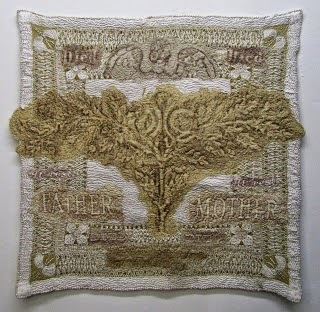 Homespun Stitchworks..... For the love of vintage: An Interview with Susan Lenz..... Last Words Exhibition. An Interview with Susan Lenz..... Last Words Exhibition. You may remember I featured the incredibly talented lady before with her thread spools. Well Susan has got her own exhibition at the Tapp's Centre. It is called Last Words. Susan has used grave rubbing's and used images she photographed and has stitched some pieces as well. 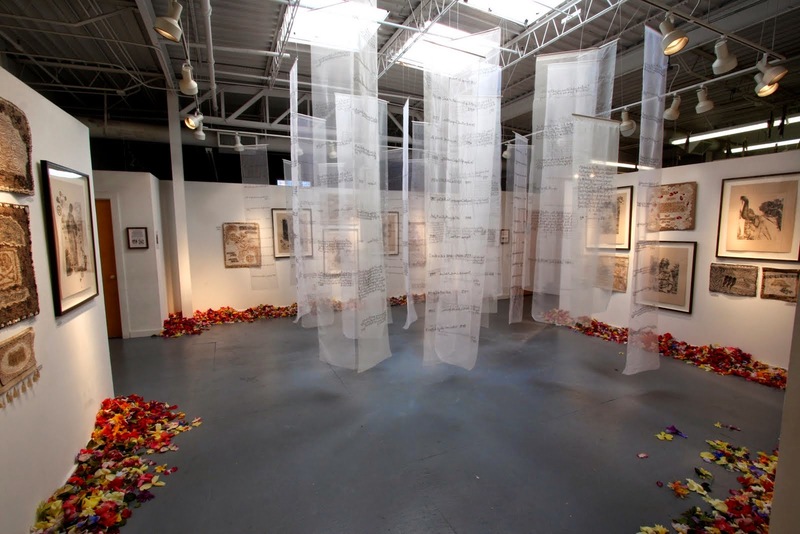 This is an art quilt at her show from a grave rubbing! I hope you have enjoyed a little look at this lady and some of her work. If you are lucky enough to be in the States and see this please let us know.